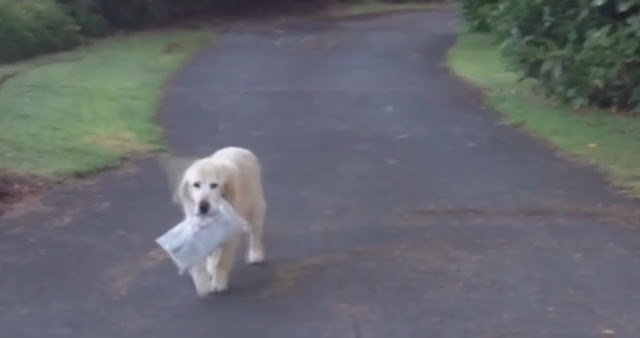 A video of a loyal dog collecting the newspaper for his owners has warmed hearts around the globe after it was shared on Facebook. 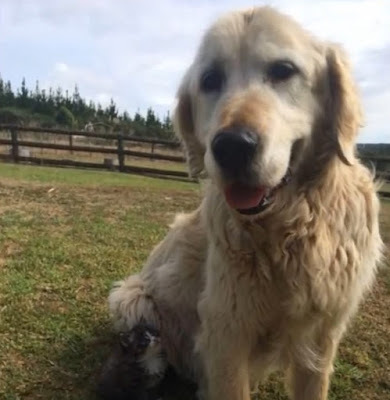 Brent Cooper, 55, from rural Auckland, shared the adorable video of his late Golden Retriever, Kuva, trotting proudly up the driveway with the paper alongside a touching story of how it came about. ‘We live in a rural area and our daily paper is tossed onto the bottom of our driveway by the contractor,’ he wrote. ‘One morning I went to get it and it was on the front porch. ‘Same thing the next morning… and the next. 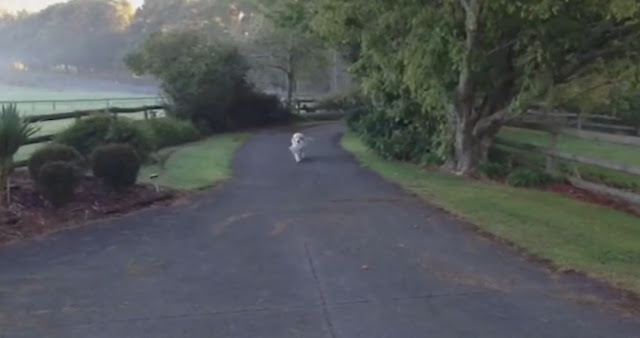 The next day I got up a bit earlier and saw our 4 year old Retriever bringing the paper up the driveway in his mouth. The post has since had more than 12,000 reactions after it was shared on popular dog lovers page, Cool Dog Group, on Facebook. Speaking to Daily Mail Australia, Mr Cooper, 55, said it’s possible Kuva was even younger than four when he started collecting the paper by himself. 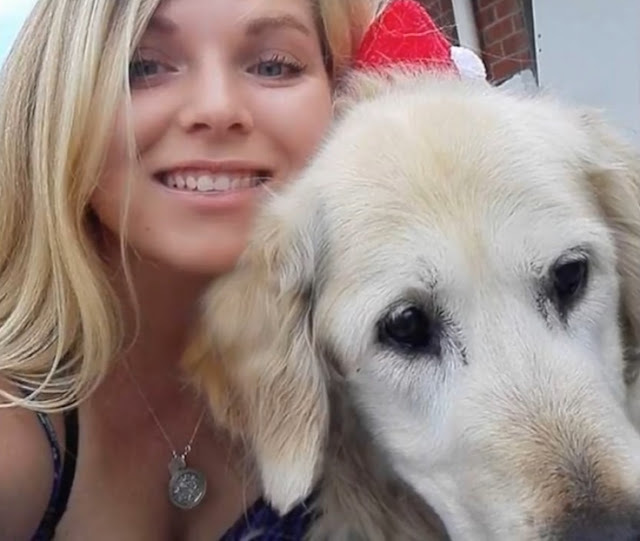 ‘Myself or my daughter Shelby, 26, used to walk down the driveway every morning and grab it and Kuva would be hanging out on the porch with his tail wagging,’ he said. ‘When I saw it on the porch one morning I thought that the paper guy must have done a good deed because it was raining – the driveway is close to 50 metres long. Mr Cooper said Kuva collected the newspaper every single day until he passed away at 15-years-old. ‘Even as he got older he was still bounding up the driveway with that paper,’ he said. ‘He got it the day before he passed away but the next day he went out and he was wobbling and fell over. Mr Cooper said he has been overwhelmed with the response to the video. ‘I can’t believe it – when I went to bed last night it was at 8,000 and now it’s at 12,00 – I realised I had gone viral and told Shelby!’ He said. 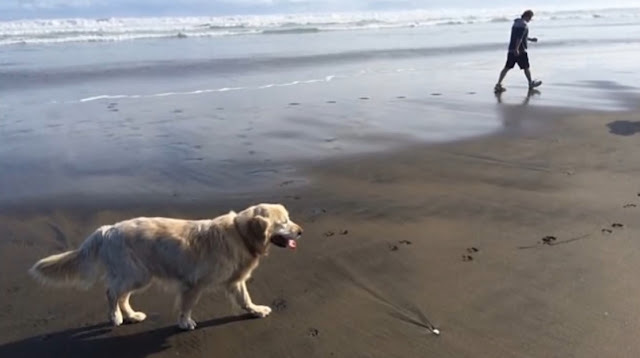 More than 1,000 people have commented on the video and ensured Kuva knows he is a ‘good boy’ wherever he may be. ‘How adorable, dogs are so smart! I am so sorry for your loss. Even after they pass, they teach us so much,’ one woman wrote. ‘Rest in peace good boy,’ another added.